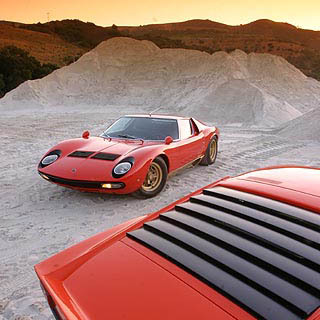 The Miura series of Lamborghinis were spectacularly designed automobiles from a visual and performance standpoint setting a new standard for exotic cars of the day. They went into production rather quickly and were sold to the public too soon, without being properly developed. Development took place on the production line as the model progressed from the P400, through the P400S and on into the SV and SVJ. Buyers continued to line up for the Miuras until the next spectacular car from Lamborghini made its appearance, the Countach.